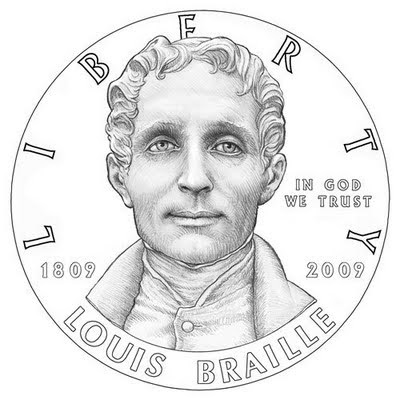 In 1824 Louis Braille, a French student and later teacher who was blind himself, invented the system that enables blind persons to read. It was based on the night writing principle of Charles Barbier, a captain in the French cavalry, who used a combination of 12 dots that were embossed, or pressed, into paper to allow military communications to be read at night. Braille's system used six raised dots arranged in cells of three rows of two. Dots were arranged in different combinations that blind people feel with their fingertips. The patterns formed a code that spelled out letters and numbers and symbolized concepts. Although the Braille system was published in 1829, it was not officially accepted in the United States until 1916. During that time, Braille advocates argued in favor of three different embossed-type systems: English Braille, which closely followed the original French Braille; American Braille, which assigned Braille signs to the letters of the alphabet on the basis of how often each letter was used in the language; and New York Point, in which dots were arranged in cells two dots high and one to four dots long. The United States eventually accepted English Braille as its standard. In 1932 English Braille also became the universal system for the English-speaking world. Braille was first printed using a pointed sharp instrument that elevated small dots on a sheet of heavy paper. A metal template that clamped over the paper kept it secure while the dots were inscribed by hand. Printing later was done using presses consisting of two stereotype plates, each imprinted with the dots for the Braille text being printed. These dots had to be hammered by hand into the plates or the plates were cast in a custom-designed mold. In 1893 the stereotyping machine was developed, which automated the process of transferring the dots onto the stereotype plates. A further printing innovation was interpoint printing, which enabled Braille to be printed on both sides of a page. It was introduced in the United States in the 1920s. These developments made producing Braille books faster and easier. In 1858 the American Printing House for the Blind was founded in Louisville, Kentucky, to produce and distribute books to blind children. In 1879 Congress permanently funded this national printing house. It produced its first raised-print book in 1866, in which letters were embossed on the surface of the page, and its first Braille book in 1893. 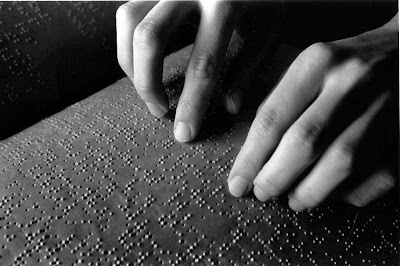 Today publications in Braille are produced using computer programs that translate print into Braille. The files containing the Braille text are sent to electronically driven machines that make the printing plates. 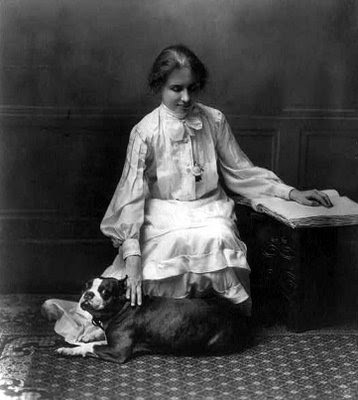 A later Braille reader, Helen Keller, wrote: "Braille has been a most precious aid to me in many ways. It made my going to college possible--it was the only method by which I could take notes of lectures. All my examination papers were copied for me in this system. I use Braille as a spider uses its web--to catch thoughts that flit across my mind for speeches, messages and manuscripts." If Louis Braille had ever had the time to write his own thoughts on solving problems, dealing with hardship, and persevering through setbacks, few would deny that would have been a story well worth reading, regardless of what medium originally held the words.